It seems like everyone’s doing it. Thanks to Sheryl Sandberg, we’re now part of a Lean In generation. I’ve got to admit, I’m a bit late to the Lean In party. But last night, I made up for it when I attended an executive lecture series at which Facebook COO Sheryl Sandberg was the featured guest. Flanked by two gal pals in a standing-room only Howard University auditorium, I sat on the edge of my seat, listening with rapt attention, trying to glean all I could from the 60-minute event. Gap Brings Back The Blue Box! The giant retailer has decided to bring the blue box back. Dear Gap, Your New Logo is ________. Gap debuted a new logo Monday that’s got many of its fans annoyed. So on Wednesday, the retailer took to Facebook in defense of its new choice of branding, while asking its 700,000+ followers to share logo ideas. The new logo appears on Gap.com, replacing the blue square with white lettering we’ve come to know and love. To find out the reason behind this befuddling change, check out Gap president, Marka Hansen’s blog post. P.S. After reading it, I still don’t buy it. Let’s have the old Gap back, Marka. Please and thanks! The singer/actor, who plays Sean Parker in the movie, seemed to be going for an uber-intelligent look. And you know what? I can dig it! Keep reading for more pics of the multi-talented mister going geek. Yessssss! None other than our fav fashion-focused reality show has been nominated for a Primetime Emmy. Cute Way to Clean Up The Gulf! Kenneth Cole is a genius. The designer, known for his socially conscious advertising, is zooming in on the Gulf oil spill this time around. 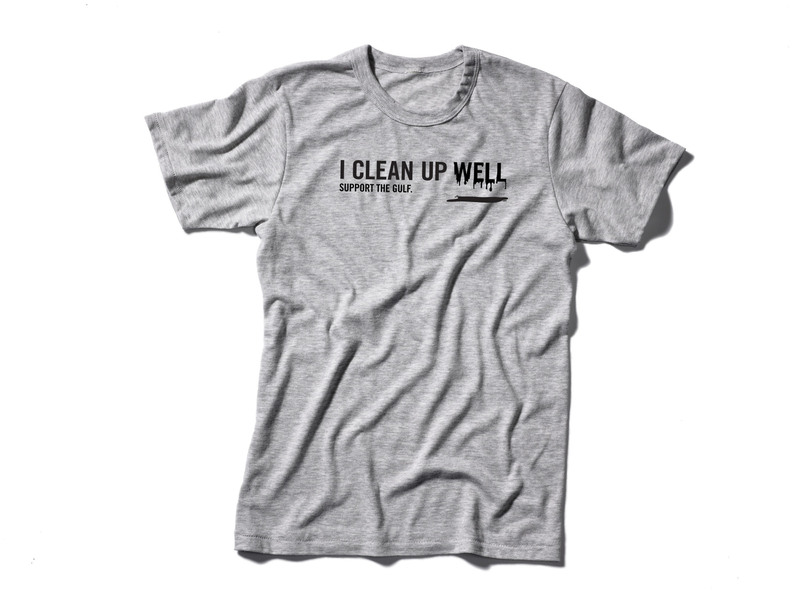 His newly launched T-shirts with snappy quips about the disaster will be sold via Facebook. 100% of net profits during the month of July will be donated to AWEARNESS, The Kenneth Cole Foundation. The funds will support the cleanup in the Gulf. If you think the T-shirts are as cute as we do, get yours here!